The holy book of Qur’an was revealed unto Muhammad (s.a.w) from Allah through angel Gabriel (Jibril) for a period of 23 years. There is only one Qur’an in the whole world and it is in Arabic language. The Qur’an has one text, one language, and one dialect. It has been memorized by millions of Muslims in different parts of the world. The Qur’an is composed of 114 Surah (chapters). It is to be read and recited with rules and regulations. When to be touched and to be recited, a Muslim to be in a state of cleanliness and purity. 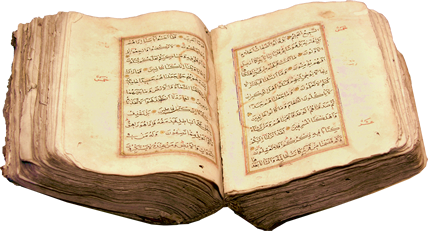 The authenticity and the totality of the Qur’an have been documented and recognized. The Qur’an can not be translated at all as the Qur’an is the exact words of Allah. Any translation is considered to be the explanation to the meaning of the Qur’an. The Qur’an is so rich and comprehensive in matter that it can easily guide men and women in all works of their life. It is the ultimate source of guidance for people in all aspects of their spiritual and material lives. The names and attributes that are given to the Qur’an in the Qur’an speak for themselves. The Qur’an is also described to be bounteous, glorious, mighty, honored, exalted, purified, wonderful, blessed, and confirming the truth of previous revelations. The Qur’an has practically proved the truth and effectiveness of all of its names and epithets in the life of all true believers, who practiced its teachings sincerely and devoutly. The Qur’an has a Universal appeal, regardless of people’s color, creed, nationality, and geographical divisions of the world. The goal of life, as addressed in the Qur’an, is to live according to what Allah has created us for, which is to worship Allah, and to obey his commandments in this life, which are of course, in the interest of people, and to gain going to Heaven and escape going to Hell in the hereafter. The real success is going to Heaven and the real failure is going to Hell, as the Qur’an states. Those who are entirely lost in their material gains and luxury, without cultivating their spiritual and moral qualities, are declared by Allah (s..w.t.) to be like animals, rather worse than them. The ones who do not believe in Allah or follow His commandments are also described in many places of the Qur’an to be dead, deaf, mute, and blind. The real living, hearing, speaking and seeing are caused by the true belief in the heart. So our need for learning, studying, and following the Qur’an should come before our need for breathing, drinking and eating to survive, because life without such guidance is a miserable life that leads to eternal punishment. 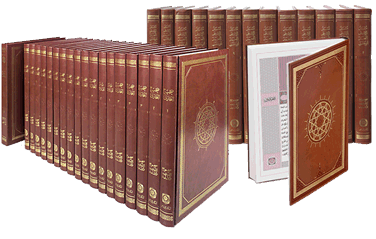 Reports on the sayings and the traditions of Prophet Muhammad (s.a.w.) or what he witnessed and approved are called Hadith. These are the real explanation, interpretation, and the living example of the Prophet (s.a.w.) for teachings of the Qur’an. His sayings are found in books called the Hadith books. Some famous collectors of Hadith are Imam Al-Bukhari, Imam Muslim, Imam An-Nasa’i, Imam Abu Dawood, Imam At-Tirmizi, and Imam Majah. There are many others. "O my son, whatsoever it may be, even though equal to a mustard seed in weight, or within a rock or in the sky or in the earth, God will bring it forth. Verily God is perceptive, all-aware.